Vancouver, BC, October 7, 2008 - Art Spiegelman, comics artist and Pulitzer Prize winner and Will Wright, video games giant and creator of The Sims, have joined the advisory board of the Masters of Digital Media Program. 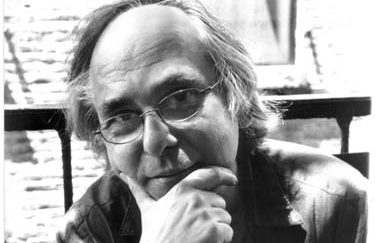 Art Spiegelman is a comics artist, editor and advocate for the medium of comics for the past 30 years. He is best known for his Pulitzer Prize-winning graphic novel memoir, Maus which retraces his parents' story as Holocaust survivors. He worked for more than 20 years for Topps Bubble Gum as staff writer-artist-editor. In 1992, he left to join The New Yorker where he worked for a decade. His September 24, 200 cover issue design was one of his most memorable submissions. It featured a black cover that upon closer examination revealed the silhouettes of the World Trade Center Towers in a slightly darker shade of black. Spiegelman has taught courses in the history and aesthetics of comics at schools including the University of California, Santa Cruz, and the School of Visual Arts and Columbia University, both iin New York. In 2005, Time Magazine named Spiegelman one of their "Top 100 Most Influential People”. Will Wright brings more than two decades of video game design experience to the MDM. He has been designing video games since the early 80s with his first game, Raid on Bungeling Bay, released in 1984 for the Commodore 64. In 1987, he set up Maxis with business partner Jeff Braun. Maxis went public in 1995 with revenues of US$38 million. Electronic Arts (EA) bought Maxis in June 1997. Three years later EA published The Sims and it became one of the best-selling computer games of all time. Wright was given a “Lifetime Achievement Award” at the Game Developers Choice Awards in 2001. In 2002, he became the fifth person to be inducted into the Academy of Interactive Arts and Sciences’ Hall of Fame. In 2007, the British Academy of Film and Television Arts awarded him a fellowship, the first given to a game designer. The MDM’s two newest advisory board members are not new to the MDM Program.Both Spiegelman and Wright were speakers at this summer’s successful Krazy Talk! Industry Giants” Speaker Series presented by the Masters of Digital Media Program jointly with Vancouver Art Gallery and held at the Centre for Digital Media. Spiegelman and Wright join the current MDM Advisory Board which includes: Visionary Science-Fiction Writer, William Gibson; Microsoft’s Senior VP, Interactive Entertainment Business, Don Mattrick; Virtual Realty Pioneer and Director of Interactive Media at University of Southern California, Scott Fisher; Academy Award Winner and former CEO of Dreamworks and Chief Vision Officer at EA, Glenn Entis; Cybervirtuoso Joi Ito; and Co-founder and Director of Microsoft’s Virtual Worlds Group/Social Computing Groups, Linda Stone. Launched in September 2007, the Masters of Digital Media (MDM) Program is an innovative, full-time professional master’s degree offering students team-based experiences focused on project learning in close collaboration with the international digital media industry. Housed in the Centre for Digital Media at Great Northern Way Campus, the MDM is a 20-month program and includes a paid summer internship. Great Northern Way Campus (GNWC), established in 2001, is a collaborative educational innovation that combines the strengths of four leading academic institutions: the University of British Columbia, Simon Fraser University, Emily Carr University of Art + Design and the British Columbia Institute of Technology. The MDM graduate degree bears the seals of these four academic partners.